The music therapist uses instruments (djembe, keyboard and guitar), the voice, improvisation, musical game-type exercises and existing music. 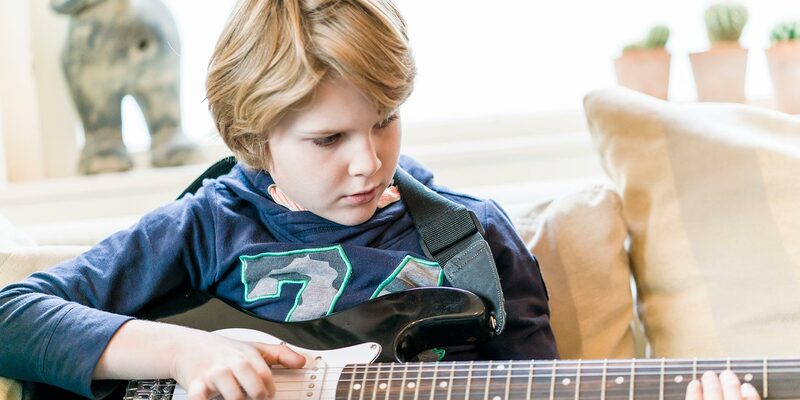 But however strange it might sound, music therapy isn’t about the music. Music is simply the means of achieving something more important: experiencing fun together and having contact with one another within a safe environment. Music is particularly suited to this, because it is a language that everyone understands and that nobody condemns. That makes the contact less emotive and less complicated. Not only that, but making music is simply fun and relaxing. The therapist visits the child’s home every week for 45 minutes, at a set time. 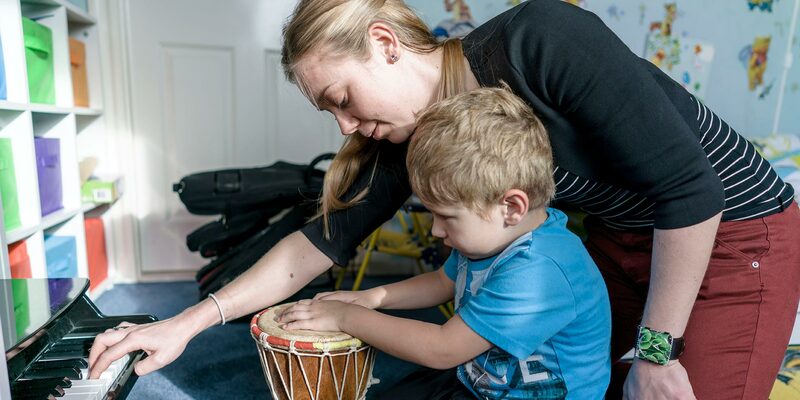 During an intake meeting, the parents/carers become acquainted with the music therapist and together they decide on the main goals of the treatment. 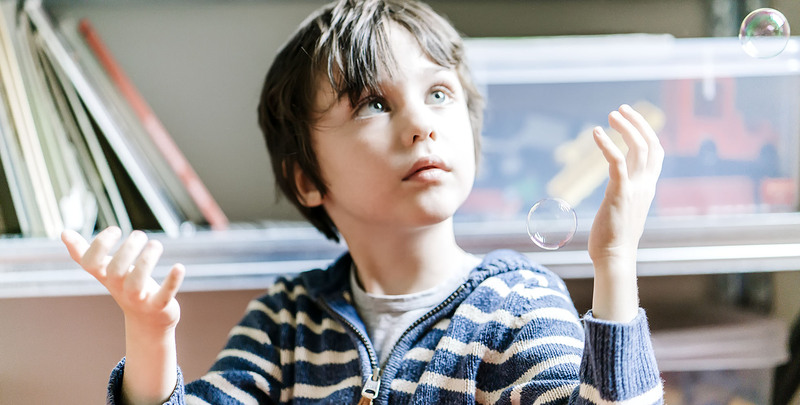 The first therapy sessions are simply for the therapist and child to get to know one another: the therapist observes the child and will tailor the forthcoming therapy to that. As a parent/carer, you agree with the therapist whether you wish to be present during the therapyor not.